Recently when I was visiting England I was determined to get a few of my unread-books read. I was pleased when I managed two as usually I spend my days in the garden helping my Dad and my evenings with him watching the television or chatting about old times, then I collapsed into my bed and sleep. On my most recent visit home I was surprised on my arrival by a newly decorated bedroom. It was so lovely that I was determined to spend at least part of the evenings using it, doing some reading. It was the room that had been my childhood bedroom, shared for a few years with my sister before she moved out to be alone in her own room, the room that over the past twenty-five years I have used when visiting. During of those twenty-five years own room became the lumber-room, a dumping ground for wanted, yet unwanted objects, until I cleared it out two summers ago, but still it remained a dusty, empty space. Six months ago my Dad decided that it was time to replace the draughty windows in our three-hundred-years old house and when they were completed and the decorating and cleaning in the rest of the house all done, my sister, her husband and my Dad decided to surprise me with a ‘new’ room – something I have dreamed of for many years. It is not only the room that I have missed but also the view over the garden and the brightness streaming in through the huge windows each morning. I have missed painting there, using the space to be creative in and just sitting there to read and write. So for a few weeks, after the gardening, cooking, chatting and visiting family, I did some reading. I read the catalogue to a recent Grayson Perry exhibition, I read my favourite magazines including Best of British, New Scientist, The Oldie and Big Issue, and I read a couple of books. The first was A day in the life of Ivan Denisovich by Aleksandr Solzhenitsyn which I was determined to get to the end of but I cannot say it was one of my best reads, and I read Do no Harm, Stories of Life, Death and Brain Surgery by Henry Marsh, which definitely was one of my best reads. I am a great fan of Oliver Sacks’ books that are filled with his amazingly detailed case studies and Henry Marsh’s book is in the same genre. It is not a book for the faint-hearted though, as he goes into quite a lot of detail in his descriptions of his work as a brain surgeon, but I highly recommend it for those who are less squeamish. 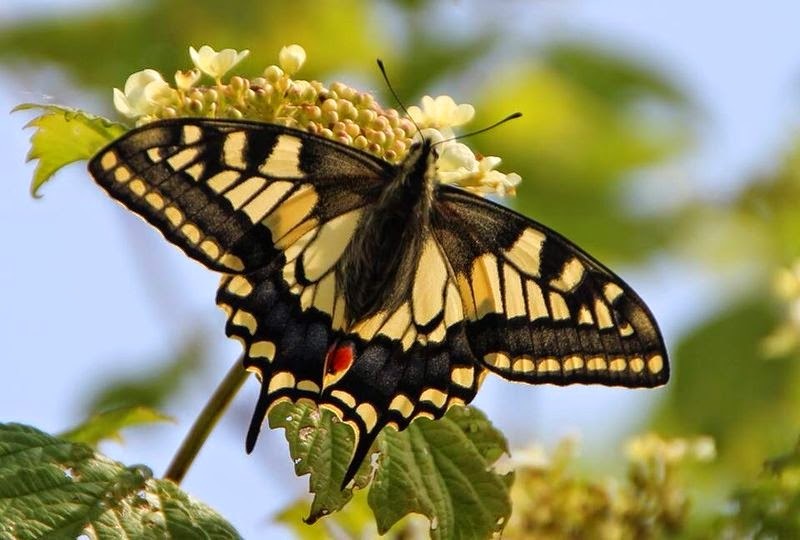 The swallow-tail butterfly can still be seen in Norfolk. I have never seen one but I remember well how late in her life my mother was so joyful when she at last spotted one. My nephew was out and about with his family at Strumpshaw Fen last week and was thrilled to have had his new camera at the ready when he spotted the butterfly in the picture above. Wishing for a Doctor Who police box!